"We look forward to joining in the grand opening celebrations as the Hot Light is illuminated for the first time in Bogota." 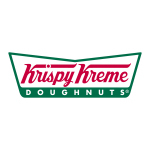 WINSTON-SALEM, N.C.--(BUSINESS WIRE)--Krispy Kreme (NYSE: KKD) announced today that its first store in Colombia is expected to open on Friday, October 24, 2014, in partnership with its franchise partner, IRCC Ltda., a subsidiary of VA! Group. The new Bogota, Colombia shop will mark the sweet treat retailer‘s inaugural entry into South America. Located in Bogota’s popular Pepe Sierra neighborhood, the 5100 square foot Doughnut Factory’s three levels feature indoor and terrace seating for 150 guests accessible by a glass enclosed stairwell and elevators. The focal point of the store will be Krispy Kreme’s iconic Doughnut Theater® viewing area, where customers of all ages can enjoy watching the melt-in-your-mouth doughnut varieties being cooked, filled and topped in front of them anytime the Hot Doughnuts Now® sign is on. The new shop will offer an assortment of great tasting doughnut varieties, including Krispy Kreme’s signature Original Glazed® doughnut, and a wide range of coffees, teas and iced beverages. About VA! Group and IRCC, Ltda. VA! Group is the leading restaurant operator in Colombia in terms of sales, units and geographic coverage, with 285 units and presence in 42 cities across the country. The VA! Group has several of the most recognizable brands in the industry, including Hamburguesas El Corral, El Corral Gourmet, and Beer Station (all part of IRCC, Ltda.) as well as Papa John’s, Leños & Carbón, Yogen Früz, and Paneroli. The VA! Group started operations in 1983, and today it has operations in Ecuador, Chile, Panama and the US through a franchise model. Krispy Kreme is an international retailer of premium-quality sweet treats, including its signature Original Glazed® doughnut. Headquartered in Winston-Salem, N.C., the Company has offered the highest-quality doughnuts and great-tasting coffee since it was founded in 1937. Krispy Kreme is proud of its Fundraising program, which for decades has helped non-profit organizations raise millions of dollars in needed funds. Today, Krispy Kreme can be found in over 875 locations in more than 20 countries around the world. Visit us at www.krispykreme.com. Broll of Krispy Kreme's hot Original Glazed being made and glazed.